I find anything with the prefix ‘nano’ intriguing. It’s a unit prefix meaning one billionth. Ergo: one nanometer is one billionth of a metre. Take the science out of the definition and it just means very, very, very tiny. My interest most likely stems from reading Isaac Asimov books as a kid. All those robot books, including, if you are unfamiliar with his work, I, Robot. If you haven’t read the book, you have probably seen the movie. There’s also Inner Space, the Dennis Quaid, Martin Short 1990s remake. The premise of Fantastic Voyage: Four men and a woman are reduced to a microscopic fraction of their original size, sent in a miniaturized atomic sub through a dying man's carotid artery to destroy a blood clot in his brain. If they fail, the entire world will be doomed. The sci-fi nerd in me still thinks that’s just awesome. 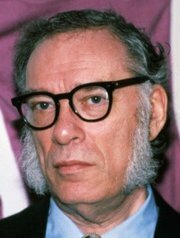 Almost as awesome as Asimov’s mutton chops – a thesis in themselves. What I really find interesting is that the concept of nanotechnology, which down to its bare bones refers to the arrangement of matter that’s between one nanometre and 100 nanometres across in at least one dimension, to create usable medicines, electronics and materials, has been around since the 17th century and was used in making steel. It was also used to create paintings in what could be the first marriage between science and art. In 1837, John Gould helped identify and paint Darwin’s finches, later used as a central argument in Darwin’s theory of evolution. The earliest discussion of nanotechnology as a concept is credited to American physicist Richard Freyman, who in 1959 gave a speech titled There’s Plenty of Room at the Bottom. 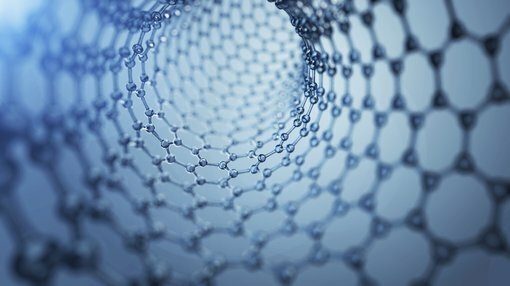 This article about the History of Nanotechnology by trynano.org explains the speech: In this speech Feynman discussed the importance "of manipulating and controlling things on a small scale" and how they could "tell us much of great interest about the strange phenomena that occur in complex situations." He described how physical phenomena change their manifestation depending on scale, and posed two challenges: the creation of a nanoomotor, and the scaling down of letters to the size that would allow the whole Encyclopedia Britannica to fit on the head of a pin. The term nanotechnology was first coined by Japanese scientist Norio Taniguchi in 1974, whilst American engineer K Eric Drexler is credited with the development of molecular nanotechnology. It is this that has led to the rise of nano-based treatments for a range of diseases and the multi-billion dollar industry these treatments create: French pharmaceutical giant Sanofi acquired Belgian biotech Ablynx for $4.8 billion in January. It was the second big deal in a month following Novo Nordisk’s acquisition of Bioverativ. The $96.2 billion capped Sanofi’s growth over time is due in part to its ability to recognise the potential of treatments in early stage development. The company may have struck again with the acquisition of Ablynx, which has developed a nanobody known as Cablivi, the first therapy for a rare blood disorder that causes blood clotting and damages multiple organs, especially the brain and the heart. No authorized treatments currently exist to combat this condition and patients, whilst receiving immunosuppressants and plasma exchange, remain at risk of suffering complications and dying. Cablivi is a single-domain antibody inspired by those of llamas and camels that combines the specificity of a full antibody with the advantages of having a significantly smaller size. The drug has delivered positive Stage 3 results and has been approved by the European Medicine Agency’s (EMA) Committee for Medicinal Products for Human Use (CHMP), for the treatment of adults with acquired thrombotic thrombocytopenic purpura. The drug has also been accepted for priority review by the US Food and Drug Administration (FDA). A decision by the FDA is due early February. There are few companies dealing in nanotechnology in Australia, fewer still in the biotech space, which could make this a unique investment sector if investors are so inclined. There is pSvidia, which is developing and commercialising drug delivery products and new nanostructured biomaterials. StarPharma Holdings Limited is a world leader in the development of dendrimer nanotechnology products for pharmaceutical, life-science and other applications. Warsash Scientific supplies of state-of-the-art optoelectronics, piezoelectric and spectroscopy technology, serving Australia and New Zealand's scientific research and industry community. It’s all a bit complicated for my nano brain, but it’s clear there’s good work being done in the field which flies against Elon Musk’s misguided assumption that Nano is BS. Here’s a great article about advances in nanotechnology in medicine, particularly in the battle against cancer. Now, if only I could be shrunk down and inserted into an aorta to try and save the world.